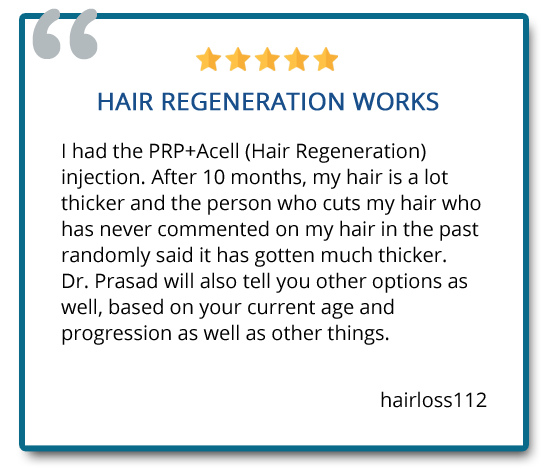 Hair Regeneration is a groundbreaking hair loss treatment developed by Dr. Amiya Prasad. The treatment uses an advanced stem cell-based wound healing technology to reverse hair thinning and kick start the growth cycle of hair. Two men in their 30s with minimal response to finasteride (Propecia®) were treated with Hair Regeneration show thick hair growth with natural density. No hair transplant surgery was performed. Extracellular matrix (ECM) made by ACell is a wound-healing material first used in the recruitment of adult stem cells to regenerate human tissue like skin and muscle. When used in treating hair loss, ECM stimulates the body’s production of adult stem cells, which appears clinically to stimulate the hair follicle affected by genetic and other causes of hair loss. Platelet-rich plasma (PRP) is the isolated serum obtained from a patient’s own blood which contains concentrated healing and growth factors. 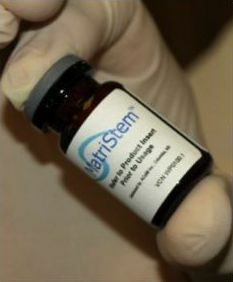 PRP is used in regenerative medicine, particularly in orthopedics and oral surgery. Vitamin D is a nutrient which was demonstrated, in a study conducted by the University of Tokyo, to help enhance the viability of hair follicles grown in tissue culture which were then implanted into test subjects. Other natural healing and hair growth factors. When strategically injected into the scalp, Hair Regeneration appears to reactivate hair that is not growing and improve the quality of existing hair. 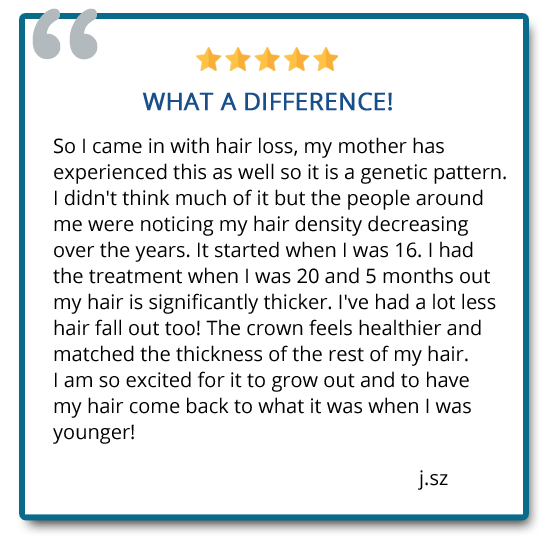 Hair Regeneration helps hair that was previously thinning to progressively become thicker and stronger (often comeing back darker). This combination of effect results in improvement in scalp coverage. 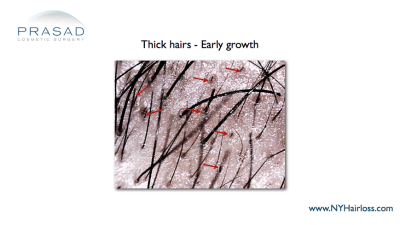 Thinned hair that almost disappeared comes back thicker after Hair Regeneration. 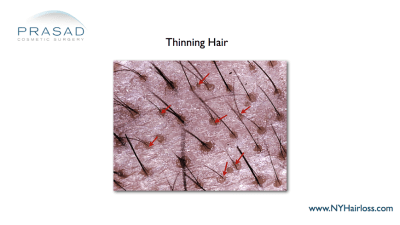 Existing surrounding hair also becomes thicker, adding to volume density of hair. 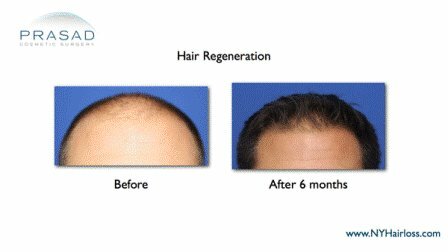 The Hair Regeneration treatment has appeared to be effective in 99% of male and female patients who undergo this treatment. The procedure takes less than 2 hours and appears to be effective for 2 to 5 years, and beyond. 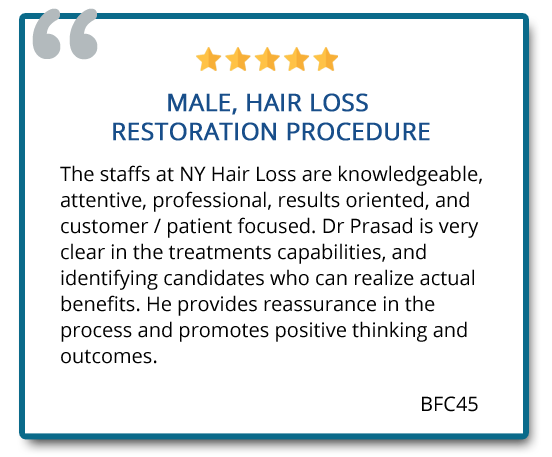 Individual results vary based on hair loss profiles determined during consultation. 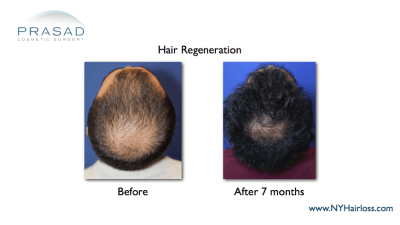 The Hair Regeneration treatment can be so effective in thickening hair that most people who undergo the treatment don’t feel they need an additional hair transplant. This, however, is dependent on the degree of hair loss they have at the time of their treatment. Understanding that hair transplant surgery is limited by the number of hairs available for grafting, choosing to have hair transplant surgery after this procedure allows for more strategic placement of grafts with more density, since significant scalp coverage has been achieved first with Hair Regeneration. Two young men with with significant thickening of their existing hair and stopped progressive hair loss. Thick, natural-looking hair meant they avoided doing a hair transplant altogether. Both men had minimal response to finasteride (Propecia®) which they were taking prior to the Hair Regeneration treatment. 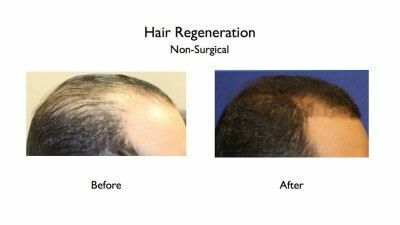 Hair Regeneration can also work synergistically to enhance the results of hair transplants which have already been performed. The combination of the wound-healing materials in Hair Regeneration is used to improve healing of the incisions created by follicular unit transplantation (FUT) or follicular unit extraction (FUE) on the donor area on the back of the head. 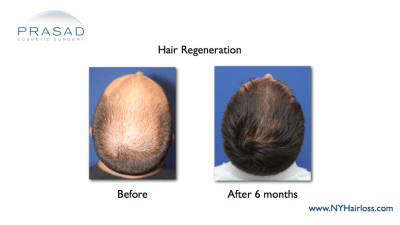 Hair Regeneration can prevent progressive, future hair loss — an important issue that hair transplants do not address. It has been shown that a significant percentage of people who undergo hair transplants often need more surgery since they continue to lose hair. 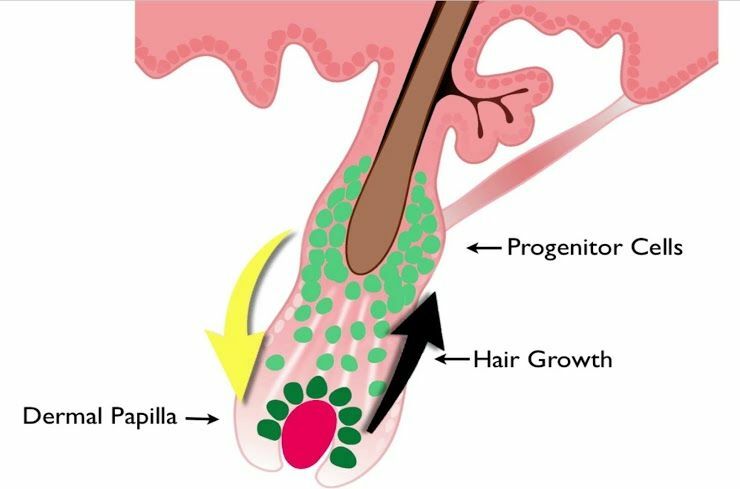 Hair Regeneration’s wound healing components improves the healing of transplanted hair follicles, thereby increasing the survival rate of transplanted hair grafts. Extracellular matrix (ECM) or ACellular matrix, produced by the company ACell, is a byproduct of porcine bladder tissue that has proven regenerative properties. It has multiple 510(k) clearances for use in clinical and therapeutic practices. ACell’s MatriStem™ is the second generation of their core extracellular matrix technology that provides a basement membrane surface that is ideal for epithelial cell growth in various medical applications. ECM’s regenerative properties has been proven to help in the production of new skin and muscle tissue. The product itself is stripped of all cells, including muscle tissue, to prevent any allergic reactions or rejection when used on humans. Extracellular matrix works by recruiting adult stem cells, along with increased blood supply, to the area where the wound is present. It changes inactive adult stem cells naturally present in the body into active progenitor cells to stimulate a healing reaction that duplicates native tissue instead of scar tissue. ECM provides growth factors and proteins needed for tissue generation, and creates a temporary non-crosslinked scaffolding for tissue reconstruction that mimics surrounding healthy yet damaged tissue. This temporary scaffolding slowly releases growth factors until it is metabolized and absorbed by the body, allowing healing and regeneration to be performed by a person’s own cells and tissue. How Does Extracellular Matrix Work for Hair Regeneration? The complexity of the hair follicle is evident by the limited success pharmaceutical and biotechnology companies have had in creating new solutions for hair loss. The search for “hair cloning” remains unsuccessful. 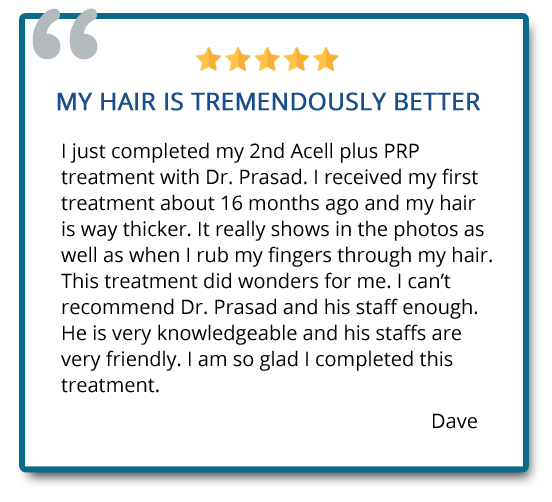 Dr. Prasad has applied his clinical experience from using extracellular matrix for procedures he performs for cosmetic and reconstructive surgery to develop the formulations and methods of delivery for Hair Regeneration. 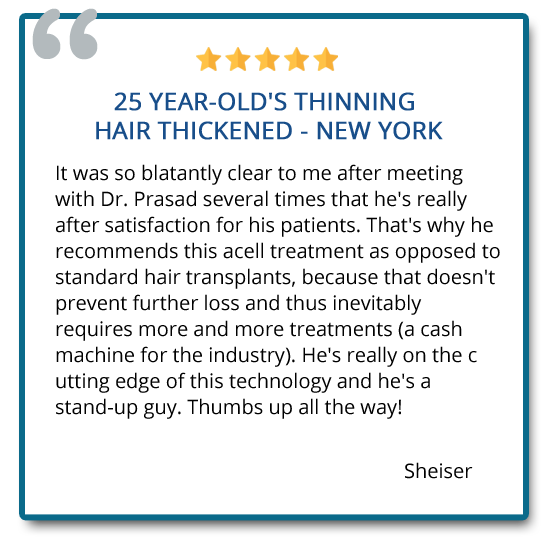 He believes that hair thinning at the cellular level occurs from interruptions or “injuries” to the hair production process. This concept, combined with his method of controlled stimulation through the wound healing process, has resulted in hair thickening using your body’s internal “intelligence” to “fix what is broken”. Wound healing concept where inactive adult stem cells are catalyzed by the Hair Regeneration treatment and turned into active progenitor cells. Renewed activity in at cellular level invigorates the hair growth process for thicker hair growth. 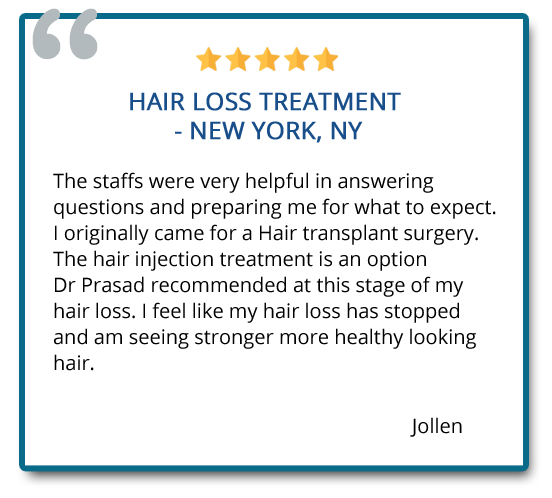 The benefits of the Hair Regeneration formulation, along with years of refinement and clinical data, has put Dr. Prasad in a leadership position when it comes to hair loss treatment. 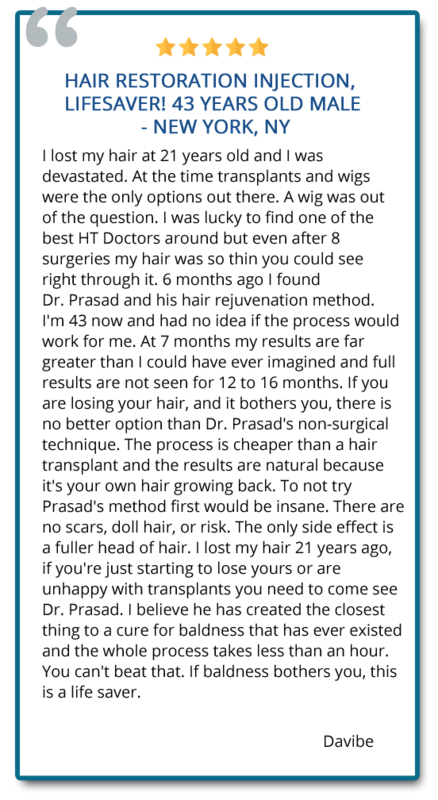 His highly effective hair loss treatment works successfully in 99% of male and female patients. Dr. Amiya Prasad is a pioneer in using extracellular matrix for hair restoration, and is also a renowned facial cosmetic and reconstructive surgeon. He has extensive experience in the clinical and surgical use of ECM in regenerating other areas that need advanced healing and scar reduction. 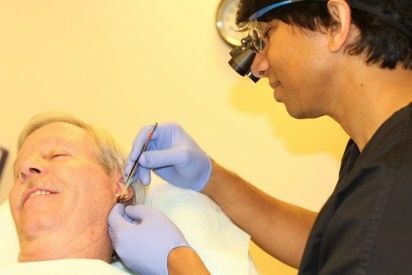 In a patient who lost a significant part of his ear due to cancer, Dr. Prasad used ECM in a first-of-its-kind tissue regeneration surgery to reconstruct his ear. While ECM has been used in tissue reconstruction, this was the first time it was used in this type of reconstructive surgery involving skin and cartilage. 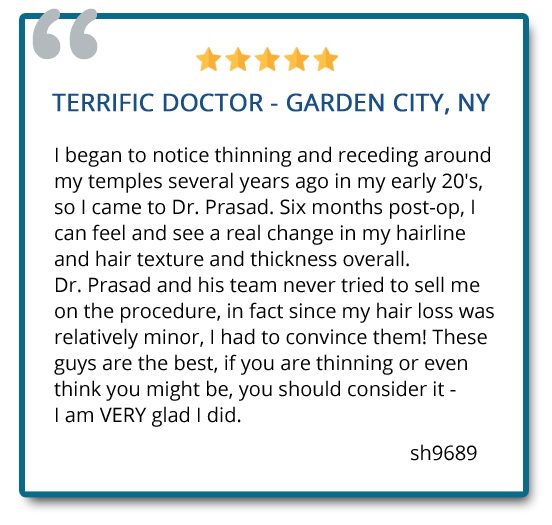 As a highly respected Cosmetic Surgeon, Dr. Prasad is known within New York social circles, as well as throughout the world. One thing Dr. Prasad is particularly well-known for is his ability to produce very natural-looking results with facial cosmetic surgery, which includes facelifts. In facelift surgery, facial incisions are necessary as the lifting point of the skin. 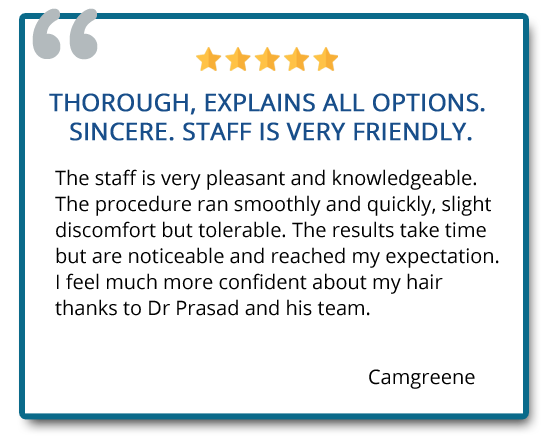 Dr. Prasad is well-known for having surgical incisions appear unnoticeable, and for clientele who show a more youthful and healthy look without the obvious signs of surgery. 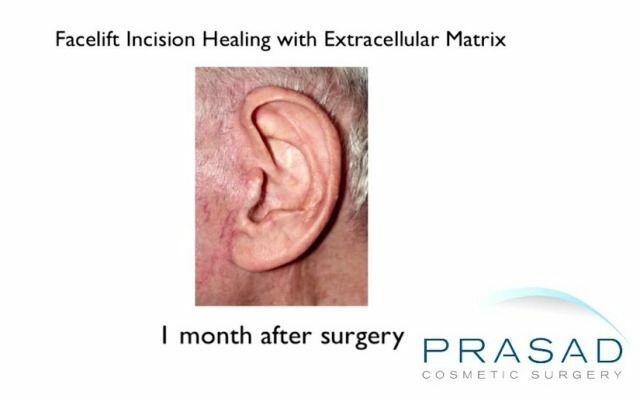 Dr. Prasad uses ECM extensively in facelift surgery for the advanced healing of incisions to prevent scar formation and any noticeable signs of facial cosmetic surgery. Aside from his work with facelifts, Dr. Prasad is also well known for complex eyelid surgery which requires extensive grafting. People with complications from eyelid cosmetic surgery come from around the world to visit his practice and have benefited from his methods of employing extracellular matrix and platelet-rich plasma to restore their appearance.